CLEAR FORK VALLEY — An evening for kids with special needs will be Friday at Storyside Church outside Bellville. This is a “Night to Shine” prom, which will start at 6 p.m. The event is associated with the Tim Tebow Foundation. You can learn more about the event and the church online at http://storysidechurch.com/. The Time Tebow Foundation has supported the Night to Shine event for five years, with churches across the nation and in other countries taking part. The foundation says 100,000 “guests” have been helped and more than 200,000 volunteers work on the event. The event will treat those who attend as though they were entering on a red carpet, with paparazzi present.Inside, the guests receive the royal treatment, with hair and makeup stations. There are limousine rides, karaoke, catered food, prom favors and a dance floor. Then, there is the moment when a king and queen are named. “I am blown away by how we are seeing God use the Church to step into this space as an advocate for people with special needs,” Tebow said of the program. “Every town, every village, every state, every country needs ‘Night to Shine’ for their special needs community. It’s a chance to be a part of something significant and life-changing, and to be blessed in the process.” . 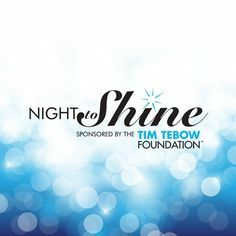 Each participating church will receive a ‘Night to Shine’ manual and guidance from a Tim Tebow Foundation staff member. The foundation says it has committed millions of dollars in financial support to hundreds of churches needing assistance in hosting the event. 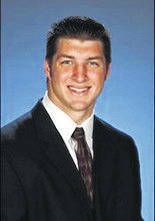 Learn about the Tim Tebow Foundation online at www.timtebowfoundation.org.